Greens Keepers - from golf and other sports - benefitted from advanced plant biostimulants and turf nutrition advice from a recent talk by Plater Bio’s Technical Director, Dr Russell Sharp. 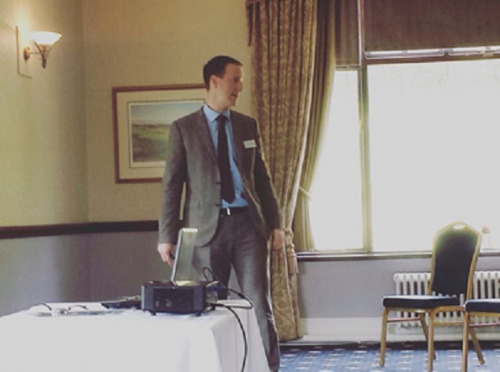 It was part on a Breakfast Seminar at Warrington Golf Club, hosted by Amenity Land Solutions. With experience in both plant science and the agrochemical industry, Russell described how current advances in plant and soil science are leading to changes in the way we now think about plant nutrition. He also shared the latest developments in fertilizer formulation and how these can help greenkeepers responsible for sporting venues. For more information on plant nutrition and fertilizers for sporting facilities and to discuss Dr Sharp’s availability for your next speaking event, please get in touch.